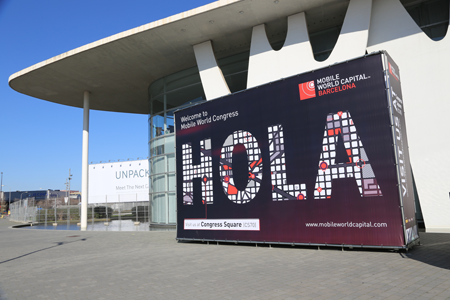 This year's exhibition floor covers over 240,000 m2 (gross) and organizers expect 65,000 to 75,000 attendees. Alcatel-Lucent and Intel announced a global collaboration aimed at accelerating the development and delivery of optimized virtualized cloud, wireless and IP Network Functions using Intel architecture. The companies said Network Functions Virtualization (NFV) appeals especially to mobile service providers now because it allows them to innovate more quickly and easily while providing the best return on their investments in an all-IP network infrastructure such as LTE. Virtualized Radio Access Networks (RAN) portfolio, developing and optimizing Alcatel-Lucent’s LTE and LTE-Advanced wireless products. The solution will enable operators to use general purpose platforms in configurations that will reduce TCO and increase operators’ ability to scale networks to satisfy mobile data demand with rapidly changing devices and applications. Cloud Platform, developing and optimizing Alcatel-Lucent’s CloudBand NFV platform including joint contributions to the Open source community and a push to accelerate service provider testing, validation and deployment of NFV technology and products. High-performance Packet Processing for advanced IP/MPLS platforms and functions to enable Alcatel-Lucent’s IP development team the insights required to use the features and capabilities of Intel architecture to deliver improved performance in virtualized IP/MPLS functions. 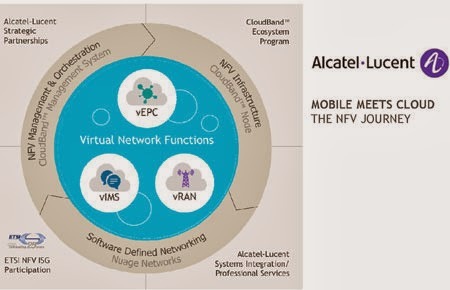 Earlir this month, Alcatel-Lucent outlined its product roadmap for network functions virtualization (NFV) technologies, including plans to virtualize every element of its IMS platform and even key elements of its LTE RAN product set. Junos Fusion -- software that can control thousands of independent network elements -- either from Juniper or a third-party -- from a single management plane. The idea is to reduce network complexity and operational costs by collapsing underlying transport elements, including core routers, edge routers and access equipment, into a single point of control from the Juniper Networks MX Series or PTX Series routing platforms. Junos Fusion is fully interoperable with third-party solutions and is extensible to SDN control, including the Juniper Networks Contrail controller and Junos Space network management software provides. Junos Fusion will be available Q2 2014. NorthStar Controller, a new traffic-engineering controller leveraging open, industry-standard protocols built to optimize service providers' transport networks. NorthStar, which will leverage technology acquired from WANDL, will automatically identify and program the optimal path within a multi-vendor network, based on operator-defined performance and cost requirements. Juniper said this will allow service providers to increase utilization, create service-oriented network paths and dynamically adjust to changing network conditions. NorthStar is expected to be available in the second half of 2014. CSE2000 Carrier Services Engine, a purpose-built, NEBS-compliant server platform for the service provider environment. This provides customers with the flexibility to virtualize network functions on the router, in a carrier-grade central office (CO) or on a standard x86 server in the data center, providing the ability to optimize service location based on performance and cost requirements. The CSE2000 is available now. Juniper is also introducing its 1 TB line cards adding further scale to the PTX Series router. Available in Q2 2014, the new line cards double the PTX router's per-slot capacity. 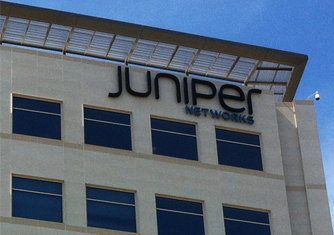 Earlier this year, Juniper Networks acquired WANDL, a supplier of software solutions for advanced planning, management, design and optimization of next-generation multi-layer networks, for approximately $60 million. WANDL, which is based in Piscataway, NJ, developed a solutions for advanced network analysis, simulation, optimization, capacity planning and management of IP and MPLS networks as well as network solutions for ATM, PNNI/HPNNI, Frame Relay, TDM, Optical Transport, and Voice networks. Its IP/MPLSView is a multi-vendor, multi-protocol, and multi-layer Traffic Management and Traffic Engineering solution for IP and/or MPLS networks. Comcast and Netflix confirmed that they have signed an interconnection agreement that will provide Comcast's U.S. broadband customers with a high-quality Netflix video experience. The companies have established a more direct connection between Netflix and Comcast, similar to other networks, that's already delivering an even better user experience to consumers, while also allowing for future growth in Netflix traffic. Netflix receives no preferential network treatment under the multi-year agreement. Other terms are not being disclosed. Ericsson announced its first three global content delivery network (CDN) partners: Limelight Networks, CDNetworks and ChinaCache. Ericsson says its global CDN partnership program will facilitate operators' ability to deliver more content to subscribers. The idea is to create a plug-in ecosystem for operators to add CDNs to their networks. Limelight Networks, CDNetworks and ChinaCache are the first to announce they will integrate their systems with the Ericsson content delivery solution. Limelight Networks -- now with over 9Tbps of egress serving over 3 billion objects an hour, providing website acceleration, cloud storage, media delivery, and video services worldwide. CDNetworks -- accelerates more than 40,000 websites and cloud services with 140 nodes spanning six continents, including mainland China and Russia, helping content providers break down barriers to new markets. ChinaCache -- operating more than 17000 servers in more than 120 cities across China and global points of presence on four continents. Ericsson has signed cross-license agreements with Nokia Solutions and Networks (NSN) and Huawei for multi-vendor interoperability, to simplify operators' use of Operations Support Systems (OSS). In signing the agreements, Ericsson furthers the goals of the Operations Support Systems interoperability initiative (OSSii). OSSii is an initiative led by major network vendors (Ericsson, NSN and Huawei), which aims to facilitate the interoperability between network management systems from different vendors. 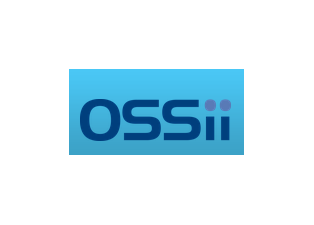 OSSii is promoting competition for network-level OSS systems by reducing the overall integration costs, as well as speeding up the time to market for new services. The licenses will be available to other OSS vendors on FRAND (Fair, Reasonable, and Non-Discriminatory) terms and conditions. Cross-license agreements allow Ericsson and other vendors to develop and sell network management products and services based on each other's proprietary OSS-interfaces. 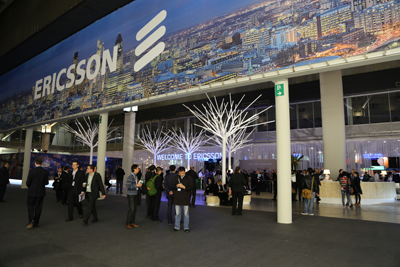 As part of the initiative Ericsson will provide a remote testing service for interoperability testing. "This initiative marks a positive step towards improving efficiency in the fragmented OSS market. By signing these agreements, we will achieve our goal of stimulating innovation in network management, as well as reducing costs for our customers," stated Thomas Norén, Vice President and Head of Product Area Radio. Earlier in February, NSN and Huawei announced a commitment to cross-license the OSS interfaces used for multi-vendor management as part of the OSS interoperability initiative (OSSii). Wind River is working with HP to certify Network Equipment Building System (NEBS)-compliant HP ProLiant servers for network functions virtualization (NFV) applications. HP's portfolio of servers includes carrier-grade NEBS-compliant servers optimized for the needs of telecom service providers and network equipment suppliers. "The carrier network is undergoing a transformation arising from the potential that comes with NFV. 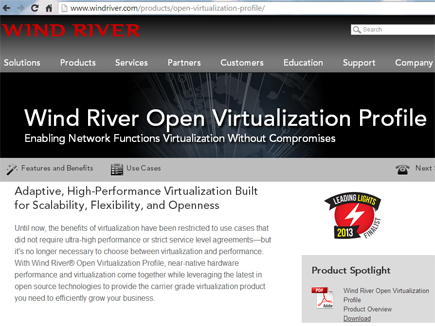 By taking advantage of a virtualized or cloud environment through NFV, the telecom industry could reap the flexibility, scalability, cost and energy benefits that IT data centers already enjoy," said Glenn Seiler, vice president of networking solutions at Wind River. "By combining Wind River’s decades of telecom experience with servers from the market leader like HP, we’re enabling a new generation of carrier grade, NFV-ready servers for the changing telecommunications market." 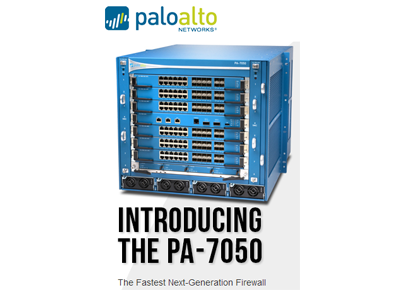 Palo Alto Networks launched its next-generation, enterprise firewall, the PA-7050. featuring capabilities such as full application enablement, IPS, AV and WildFire active on all traffic. Network security challenges continue to evolve, according to the company, because sophisticated cyber attacks are now hiding in plain sight, using common applications to penetrate exterior defenses, and once inside a network, act like day-to-day traffic while stealing targeted data via applications such as FTP, webmail or veiled within SSL. Palo Alto Networks argues that common port-based firewalls, plus simple signature-based protection mechanisms masked as next-generation firewalls cannot safely enable applications; they only block them, and further cannot deliver adequate performance with these security features enabled. The result: many organizations limit application of tight security controls, leaving their organizations at risk. The new PA-7050 is designed to protect digital assets by identifying and safely enabling all applications, including those encrypted with SSL while blocking known and unknown threats. It supports throughput speeds up to 120 Gbps for core firewall functionality. It can be used in the data center where validation of applications and users, and threat prevention at 100Gbps or more is critical; as an Internet gateway, where visibility and control over all applications and protection from known and unknown threats are critical; and for internal network segments, where isolation of critical data and business functions is required. In addition, NTT Com Security (formerly Integralis) will resell the Palo Alto Networks security platform.